Everyone knows that Nashville, Tennessee, is a hotspot for creatives and music lovers, but did you know that it’s also one of the South’s most welcoming cities? It may surprise you that there are countless gay-friendly Nashville spots that provide inclusivity and, of course, a crazy good time! Below, we’ve listed just a few of our favorites. Don’t forget to access our complimentary Nashville Travel Guide for more of our best local recommendations! Skull’s Rainbow Room has been a part of Nashville culture for decades! Today, you can catch a burlesque show Thursday-Sunday night (and live jazz every other night)! Be sure to stay late, order one of the speciality cocktails, and enjoy the entertainment! It’s what makes it one of the best bars in Downtown Nashville. If hunger strikes, there’s plenty of delicious fare from crab cakes to filet mignon. If you’re looking for a fun, gay-friendly restaurant in Nashville, check out Suzy Wong’s House of Yum! This eclectic spot is a popular place for brunch, dinner, and drag shows. Visitors rave about the chicken and waffles and fabulous drinks here. There’s no shortage of hotspots for drinks and dancing here in Music City, but Tribe is one of the best. This Nashville gay bar boasts a vibrant atmosphere conducive to getting down on the dance floor, attending drag shows, and enjoying the night with welcoming, like-minded people. You’ll love this bar’s “country warehouse” vibe! If your kind of bar offers a dance floor, karaoke, and plenty of tasty Tex-Mex appetizers, you need a night out at Canvas Lounge! Canvas is a high-energy spot with fun and funky decor that pays homage to legendary LGBTQ icons. Don’t miss the buy-one-get-one-free happy hour! Looking for some fun along Church Street in Nashville? Discover Play Dance Bar, one of this gay-friendly district’s best bars. The music’s pumping all night long, the bartenders are friendly, and there’s always a special event taking place. Some well-known drag queens have even taken the stage! Though not an exclusively “gay” hangout, Pinewood Social is a fantastic laid-back spot to indulge in some food, drinks, bowling, and swimming. Yes, we said bowling and swimming! This is truly one of the most unique things to do in Nashville, so come with an adventurous mindset and try it all! Pinewood Social is a popular part of Nashville’s hipster scene. We’d be remiss not to mention Nashville Pride, the city’s biggest gay-friendly event! This week-long festival promotes Music City’s LGBTQ community and draws thousands of visitors to downtown Nashville. It’s held every June and features a parade, street festival, and plenty of nightly parties! Another noteworthy event that encourages visitors to let their rainbow flag fly is Nashville Predators Pride Night! This fun celebration takes place every February and includes discounted game tickets, a pre-game reception, and a t-shirt giveaway. Food and beverages are also available! The puck drops at 7:00 p.m.—you won’t want to miss it. Be Yourself at Your Private Vacation Rental in Music City! Looking for gay-friendly lodging in Nashville? Don’t settle for a cold, impersonal hotel room. Instead, book an accommodation that’s just as unique and beautiful as you are! Playlist Properties offers an extensive selection of comfortable, luxurious, and inclusive vacation rentals fit for royalty. Choose your favorite Nashville neighborhood (Downtown, The Gulch, 12 South, East Nashville, or Music Row) and look forward to premium amenities found nowhere else! Each of our high-end rentals features stylish decor, a fully stocked kitchen, and travel-size essentials. Some of our properties even offer rooftop decks and panoramic city views! 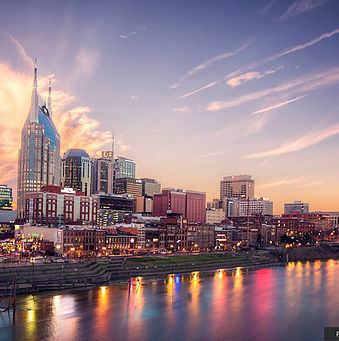 Ready to experience gay-friendly Nashville for yourself? Book a stay with us now!